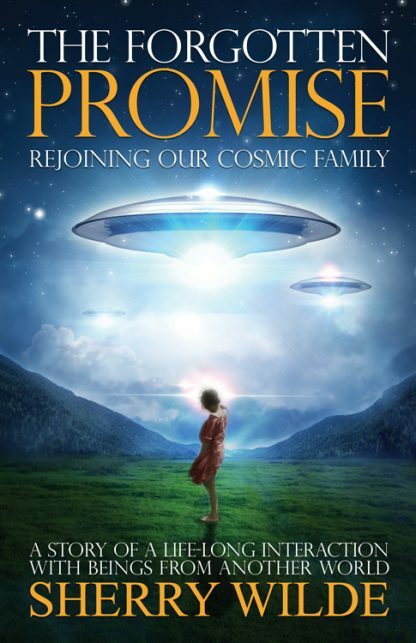 This is the story of one woman�s life-long interaction with beings from another world, and her journey to go beyond the fear to find meaning and purpose. In this book she explores the abduction experience and shares with you the three important things they insisted she learn. Sherry Wilde was living an idyllic life until 1987 when her community experienced a UFO flap that was considered one of the most active in the world. No one could have ever have guessed the unbelievable turn of events that would occur over the next 18 to 24 months as Sherry was forced to accept her involvement in a phenomenon that was totally unknown to her. Faced with the indisputable evidence that she was experiencing contact with extra-terrestrial beings was astonishing to this pragmatic and levelheaded woman of 37, but to learn her contact had been ongoing for her entire life almost pushed her over the edge. Sherry spent the next several years of her life trying to exonerate the experience from her mind and ignoring the occasional visits, but when heavy contact started again in late 2009, after several years of peace, she could no longer ignore it. Inexplicably she found herself writing a book about the experiences as her memory opened up to the past events and the teachings these beings had imparted to her. Overcoming her fear and learning the truth of her involvement became her life goal. She now accepts the truth of these encounters and has cooperative contact, on a regular basis; with the beings she calls "her guys."